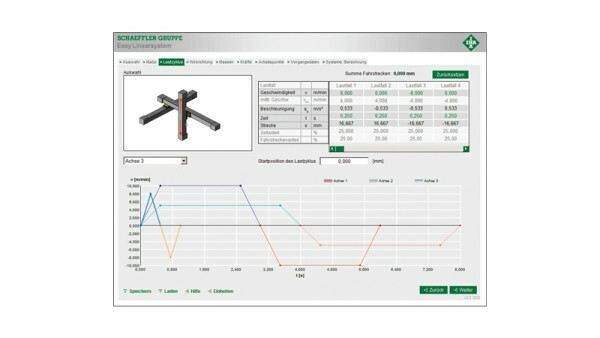 The well-known „Easy Linear“ online software for monorail guidance systems is now joined by the new BEARINX-online module "Easy Linearsystem" in our range of proven linear calculation programs. Working points are set in order to calculate possible deformations of the linear system. The self-explanatory menu navigation enables users to enter data quickly and easily. 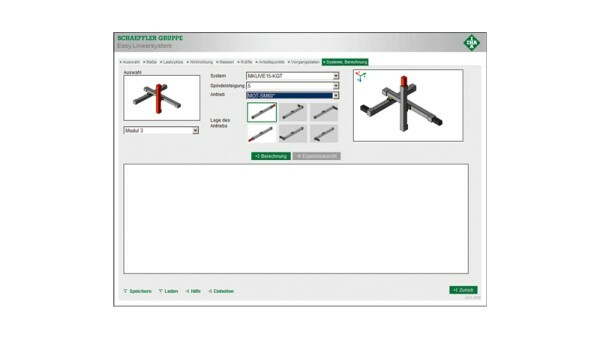 Using practical, preconfigured 1, 2, or 3-axis positioning systems and free arrangement of the drives as a starting point, the required linear system can quickly be found and completed using the necessary parameters. All required operating data can be entered individually for each axis, using the convenient menu navigation. The benefits offered by the new online program are clearly shown by the load cycle input dialog, in which the speed, acceleration, time, and traverse distances for each axis can be entered. The corresponding motion diagram is then created automatically. 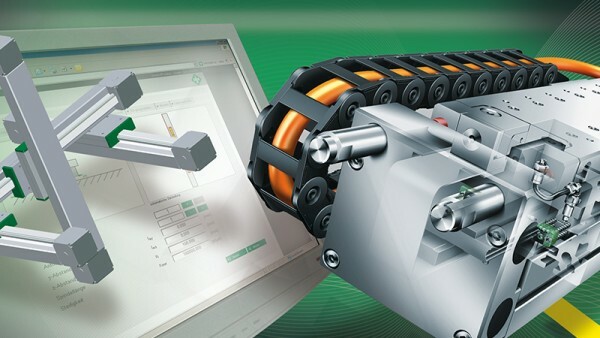 Users can select from a comprehensive range of available INA linear actuators and drives before carrying out the calculation. Once the calculation has been completed successfully, you will receive an e-mail containing a summary of the most important results and with the input file and a PDF results document attached. This e-mail also contains a link that enables you to generate a quotation request. 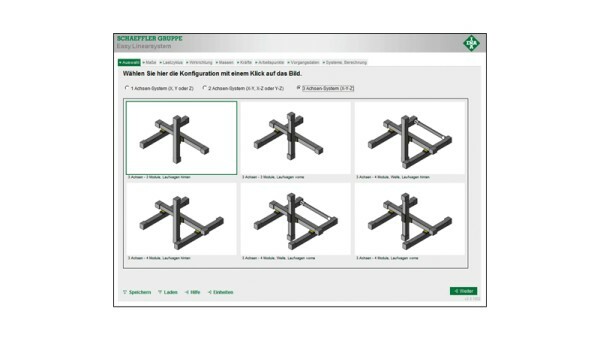 This contains an automatically generated parts list for the linear system you have generated, as well as a free text field in which you can specify further details of your request. This makes it possible for our specialists to quickly put together an individual quotation for you. The calculation program "Easy Linearsystem" is available online only and can be used free of charge without restriction. After your initial registration and a positive verification you can start your calculation.